Keep stocked on aluminum bolts! A 12 pack of aluminum bolts in material. 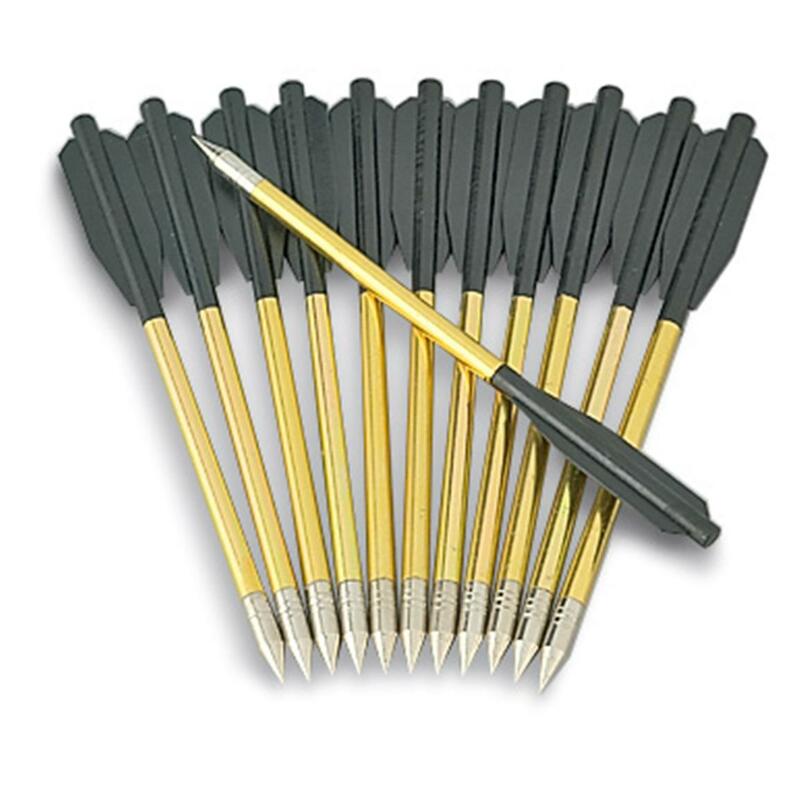 Field point and tough plastic vanes. Aluminum Bolts, 12 Pack is rated 4.1 out of 5 by 93. Rated 4 out of 5 by sullyway from Bargain for what you get. Good product. Only wish that they made small broad heads that would fit on these being that the field points can be unscrewed and removed. Rated 4 out of 5 by lbro from plenty of shooting it is great to have this many bolts to shoot when target practicing in the basement. have shot them all many times, one came lose and hot glue to fix. Rated 5 out of 5 by DBowWiz from Good bolts Very fun to shoot these. Buy a few packs if you can because they may break or get lost. Work great though and are more durable than some give them credit for. Rated 4 out of 5 by Talonz82 from Excellent target bolt at great price Well made, make sure you have proper target, if bolt goes to deep damage to fetching will occur. Rated 5 out of 5 by buggydawg from Great Price These little bolts work and fly well. They are easily lost, so I would suggest they be painted a bright Orange or Yellow. The fletching is a little flimsy, but works well.